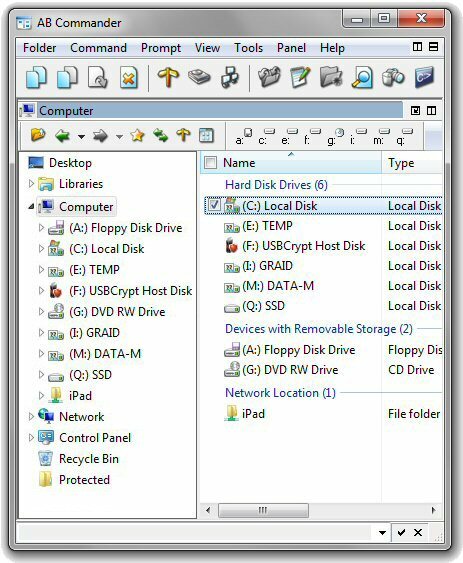 It’s possible, however, to change this default behavior and make both AB Commander and Windows Explorer display the drive letters before the drive names. In fact, there are even more possibilities: you can make the drive letters to be shown before the names for the network drives only, and you can even hide the drive letters altogether! To see the result in Windows Explorer, log off and then log back on to Windows. 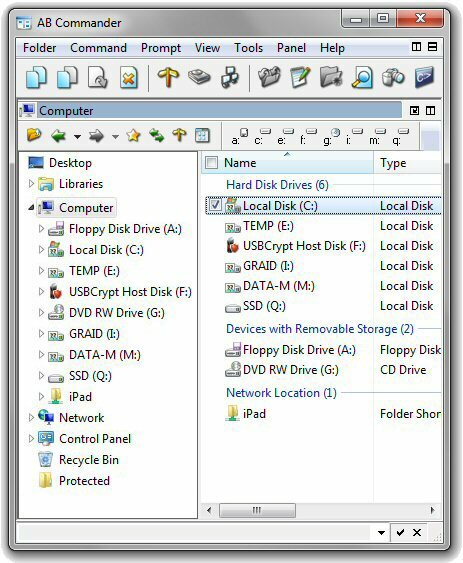 If you want to return to the default way of displaying the drive letters after the drive names, use the DriveLetters-After.reg file.